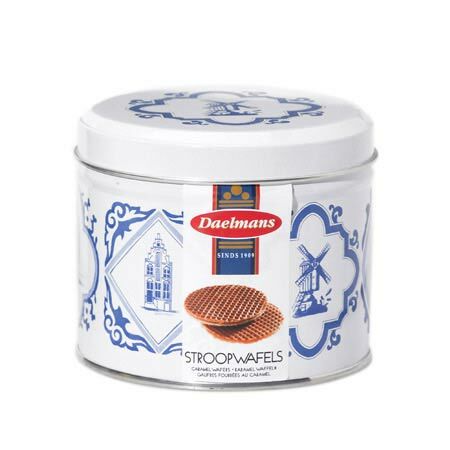 The most delicious syrup waffles are by Daelmans! And you can taste it. Our syrup waffles have a diameter of 8 cm, are filled with a soft butter syrup filling enriched with natural Bourbon Vanilla. They are even better if you get them just warms up on a cup of coffee or tea. In this way, the syrup hot and liquid. Fun for yourself, but also just as fun (and perhaps even more fun) to give as a gift! This Blue Tin contains 8 syrup waffles with a diameter of 8 cm.